About a month ago I had finished this model. Actually the photos were already taken but I was too lazy to edit and clean them and write this article. so i do recommend to get the two halves together and then glue them. Otherwise everything goes together pretty well oob. details were nice only aftermarket ive used was the quickboost resin seats. painted with black baseing and marble coat technique used umbral enamels and gunze acrylics. kit decals were close to perfect. I think at this point you should declare that you have a mental condition that draws you to F4s no matter their scale or location in the world…. That’s a beautiful Phantom! 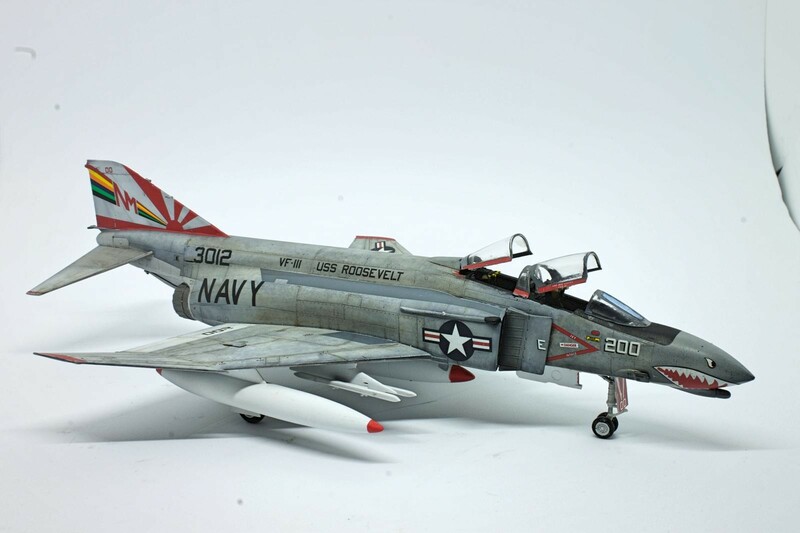 Love the paint work, and that’s my favorite Navy scheme – I plan to do one just like it. This representation is high standard. It shows very clearly how fighter /bomber planes from the US.Navy are looking after months of hard working at sea (then and now).The weathering is right smack in the middle. No time for the “car”wash, but all (no flying time) spent on maintenance. 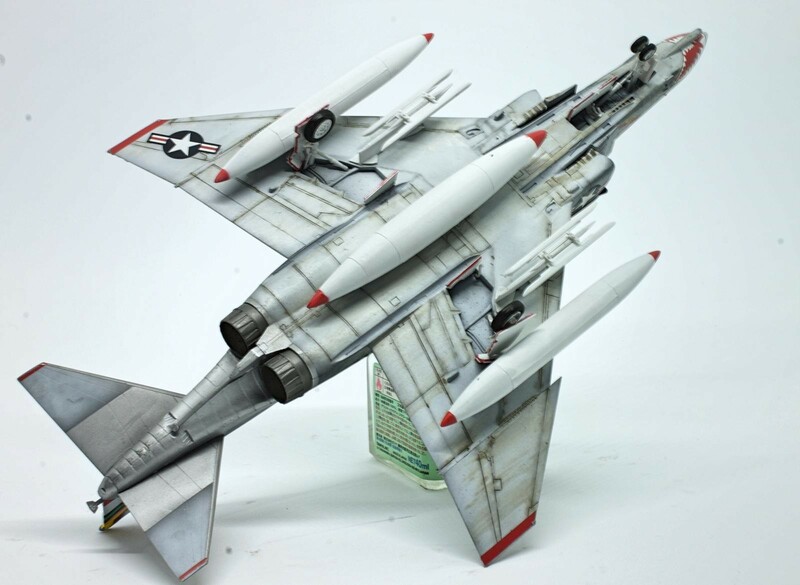 The Phantom needed a lot of care after sorties. Good job. Periodically, maintenance required a fresh water wash down, baring that we had a waterless cleaner that resembled a hand cleaner, there also was an aerosol foam cleaner , this was to combat salt water corrosion which loves to eat at aluminum. 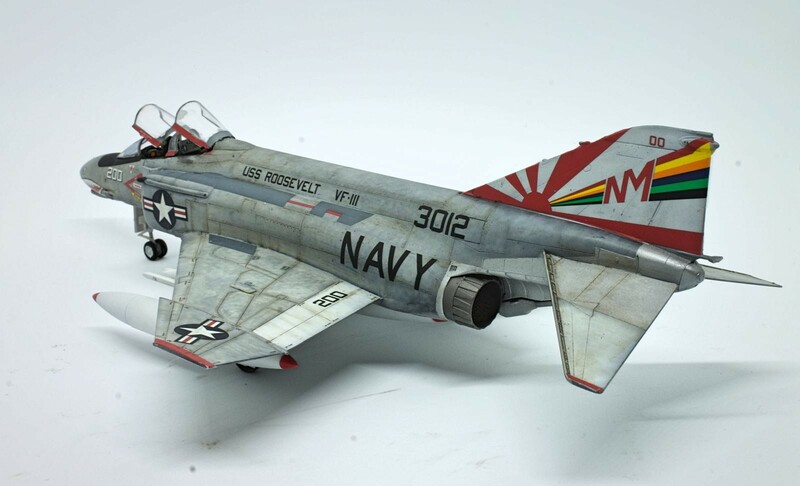 Good looking Phantom with a realistic weathered finish as well. 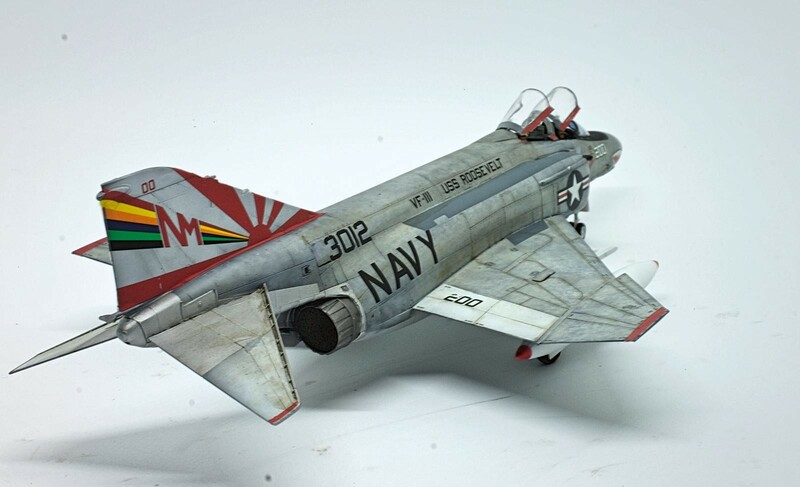 it’s so glad to see perfectly wethered 1/72 scale model. hope you share more of your models! For me, Sundowners, has the best stencils!!!!!! Great work, well done with weathering. 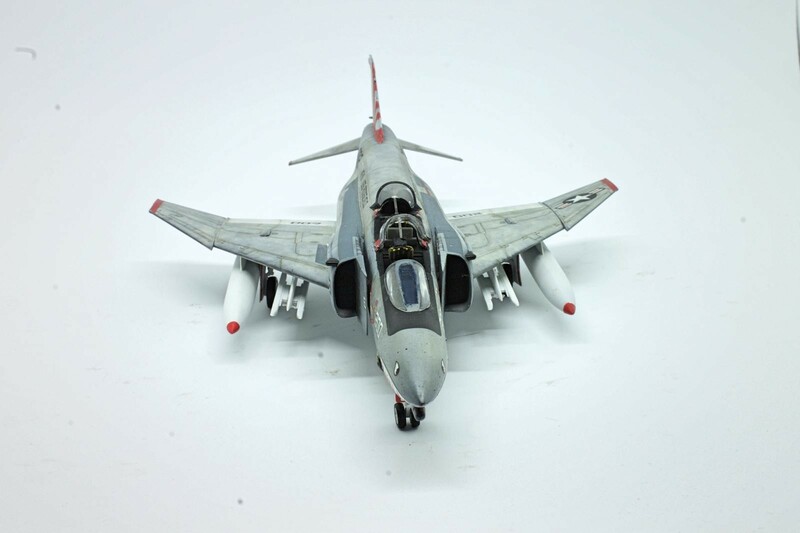 This is a fabulous and perfect F-4 in my book! Fantastic, awesome paint job. Really captured the worn and marbled look of those grey high-vis paint jobs. You utilized the black-basing technique perfectly. 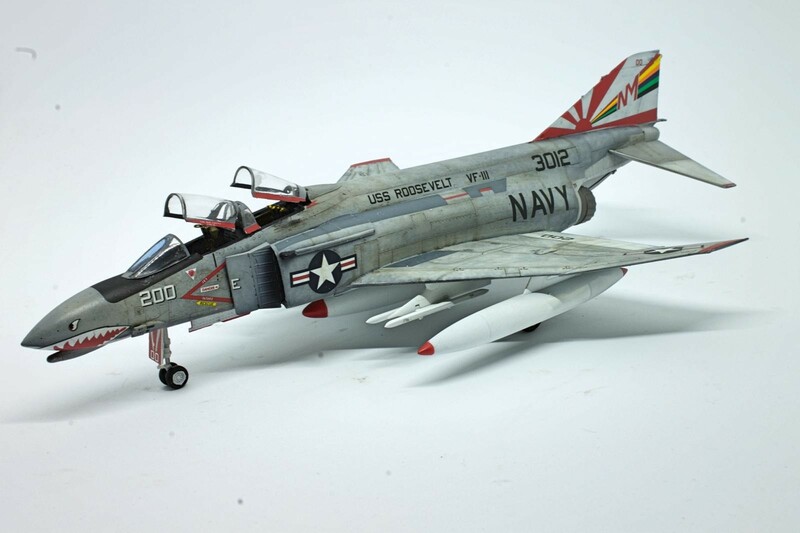 I am going to try this on my next F-4 build. Your weathering is awesome and this model looks much bigger then 1/72. Beuatiful work on what is a legend. I remember telling a girl once when we broke up, “you know… I love you but I’m not in love with you”. Exactly how I feel about the Phantom.